Whether you work in a workshop for your living or tinker with your car from your garage at home, getting a car off the ground in a safe and controllable fashion is vital. 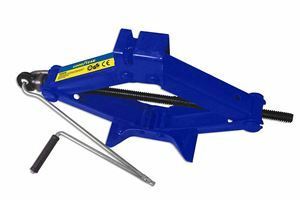 A high-quality jack can make the process far more straightforward and reduces the chance of damage. These are our picks of the best for under £200. It’s not really feasible to carry around a jack in the boot of a car, even if it’s a compact one such as that offered by Halfords. 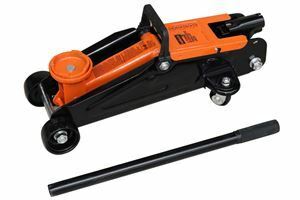 This Goodyear scissor jack, though, is often compact enough to stow in the spare wheel well or in a storage bin. It’s only really designed for changing wheels, so it can consequently lift just one tonne to a maximum height of 350mm – but it’s not expensive and could quickly get you out of trouble. 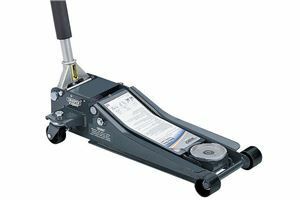 Most jacks are fairly substantial affairs that weigh tens of kilos, so they’re not suitable for stowing in the boot of your car – and they can take up a substantial amount of space if you’ve only a small garage. 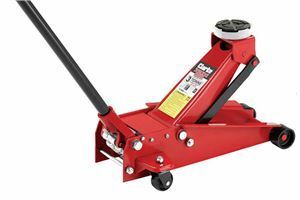 This compact Halfords jack, however, is a comparatively featherweight affair that’s ideal for slinging the back of your van or car, or under a shelf in your garage. It’s not expensive, either, so it’s perfect if you just want something for emergencies. You probably don’t want to spend hundreds of pounds if you’re looking for a jack that’s only going to be used occasionally. 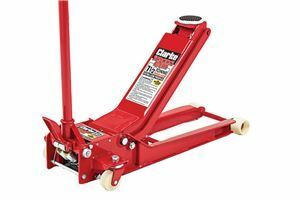 Fortunately, there are some more affordable options that are ideal for the odd heavy lift – such as this Sealey 1153CX. It’s not as substantial as the Clarke offering but it can lift three tonnes to 432mm, which should prove enough for most. It’s also easy to handle, as it weighs just 19.6kg. A one-year warranty is standard. If you’ve just bought a home with a garage, or you’re thinking about working on your own car from time to time, this deal could be perfect. It includes a stout Sealey 3010CX jack, which can lift three tonnes to a height of 427mm, and a pair of heavy-duty axle stands. Consequently, you’ll be able to easily lift your car then properly secure it using the axle stands so you can work underneath. Like Sealey’s other jacks, a one-year warranty is standard. Those working on high-performance or modified cars may face challenges with clearance and access to jacking points. Fortunately, Arcan makes a long-reach, ultra-low-profile jack that’s designed to cope with just those kinds of situations. It can lift a substantial two tonnes to a height of almost 610mm, too, granting you easy access to the underside of the car in question. As with other Arcan jacks, though, check the warranty terms with the seller. 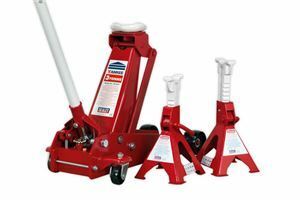 This mid-range Draper jack is a good choice for those who have a car that sits close to the ground, thanks to its low-profile construction. Like others, it also has a ‘quick-lift’ system that means it takes fewer pumps to extend its saddle to the desired height. It can lift a substantial weight to a maximum height of 500mm as well, making it ideal for those needing extra clearance. A rubber pad for the saddle is also included and a one-year warranty is standard. 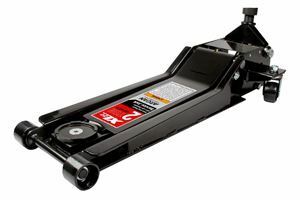 Clarke has a reputation for making affordable, durable tools – and this trolley jack is no exception. 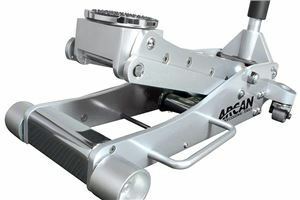 It's not as expensive as the Arcan, for example, but it can lift a heavier weight to a similar maximum height of 465mm. The drawback is that it doesn’t have the reach of the Arcan jack, as its chassis is shorter, which means it could be harder to get to a jacking point under a larger car. It’s also heavier but, on the plus side, it has a 12-month warranty. Like the look of the big Arcan jack but don’t need something that capable? This less costly heavy-duty HJ2000EU could be a better option. It uses both steel and aluminium in its construction, which helps cut the price, and it can only lift two tonnes. It still has a high maximum lift of 470mm, though, and its rubberised saddle will protect against damage. Do check with your retailer what the warranty situation is, though, as these are imported from the US. This Clarke jack can’t lift as much as the low-profile Draper but its maximum saddle height is a whopping 607mm. This means it’ll be easier to get under the car you’re working on, allowing you to effortlessly slide in axle stands to support it while it’s up in the air. It also has a wide and stable chassis, a quick twin-piston lifting system and heavy-duty construction. A one-year warranty from Clarke is standard. 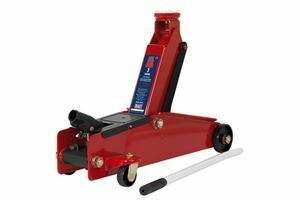 If you’re regularly lifting heavy cars then you’ll want a strong jack that’s easy to handle. 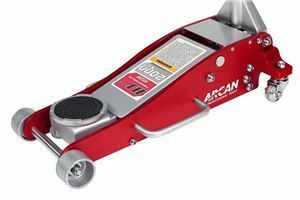 This big Arcan ALJ3T fits the bill neatly as it’s rated to lift 2.7 tonnes, has twin pistons for rapid lifting and is made from lightweight aluminium. It’s also well designed, with other highlights including a low-profile chassis that can easily get under a car. It’s not cheap, and you'll need to check with your preferred retailer for warranty details, but it’s a superb jack. How Do I Jump-Start A Car?